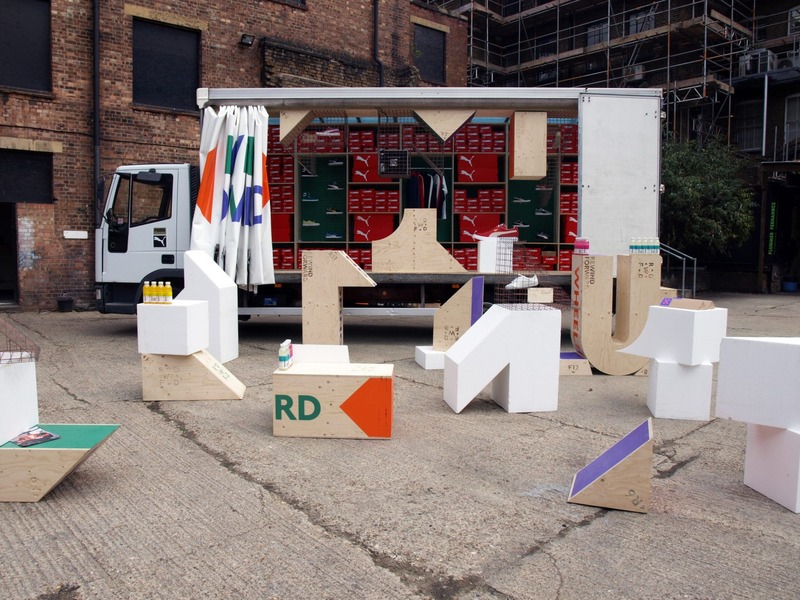 The Rewind Forward Pop OUT Shop provides display space to view items from PUMA’s heritage archive alongside the ranges currently available in an interactive environment which includes a specially commissioned soundtrack and animation. 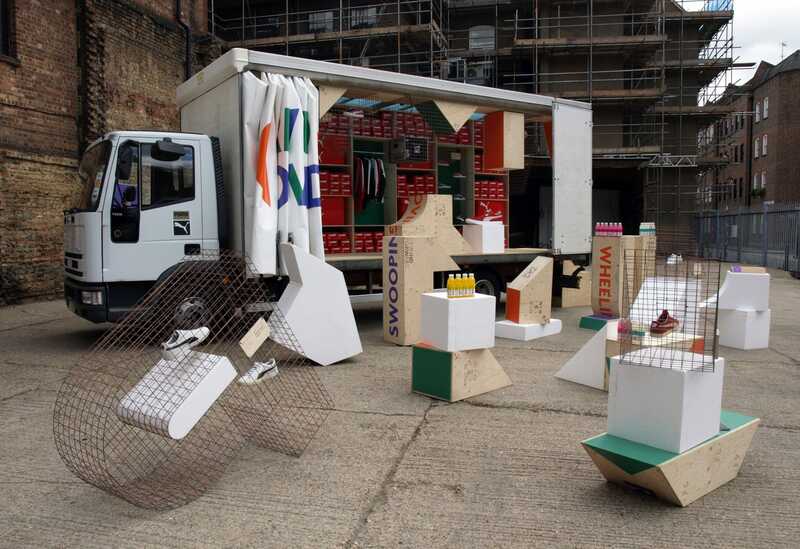 Designed as a mobile platform for the Rewind Forward project the ‘Pop Out Shop’ takes the form of an ordinary Iveco Ford 75e15 curtain sider truck. 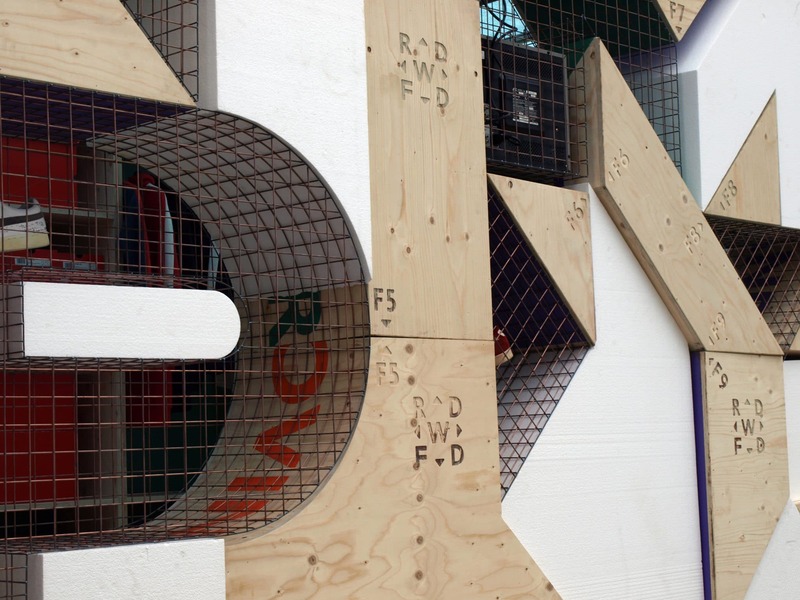 Drawing back the curtain reveals a jigsaw of bespoke formed polystyrene, plywood shipping crates and mesh cage elements designed to be unpacked at a variety of public locations. 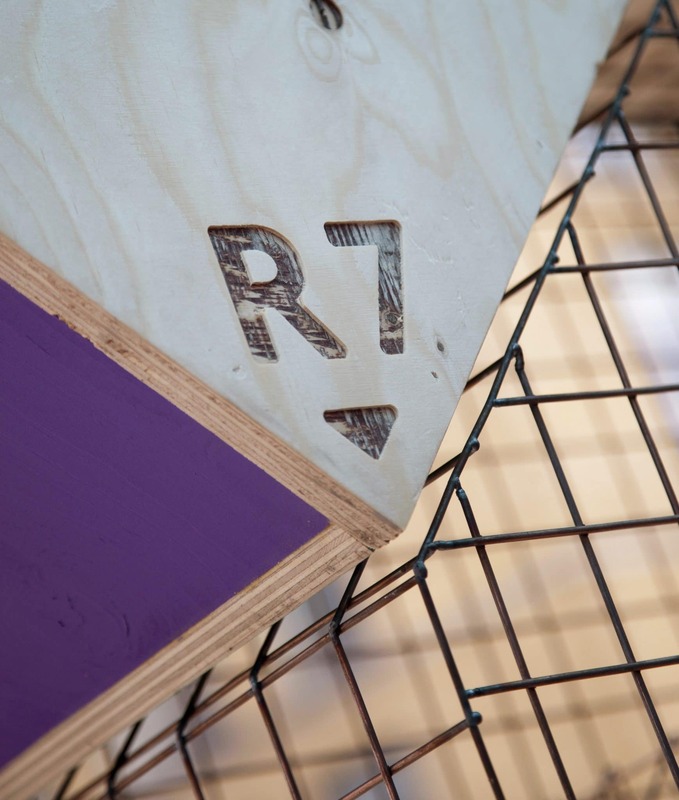 The Pop Out Objects are decorated with colours, graphics and text inspired by 70’s and 80’s Puma heritage and CNC engraved with information describing the project and how to reassemble the collection. 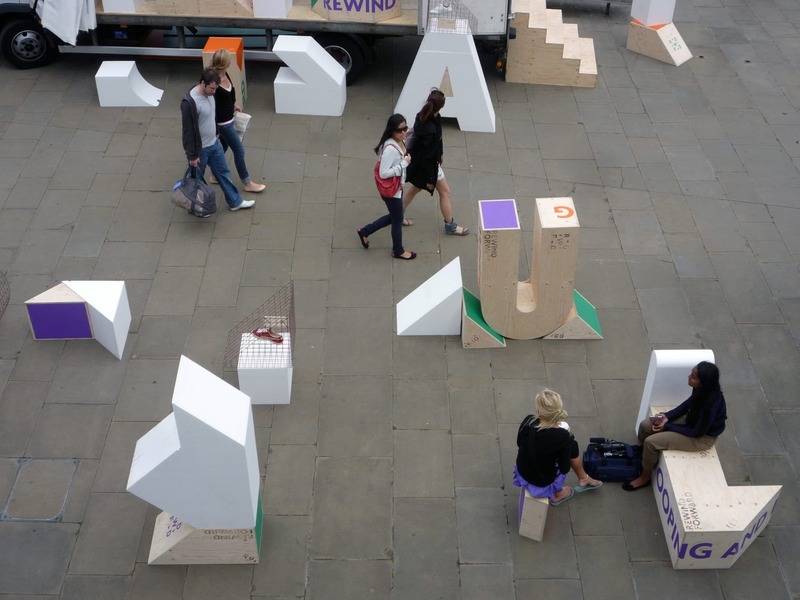 These irregular shaped objects are used to display items from the archive, house monitors, act as plinths or become seating and tables for the public to interact with. 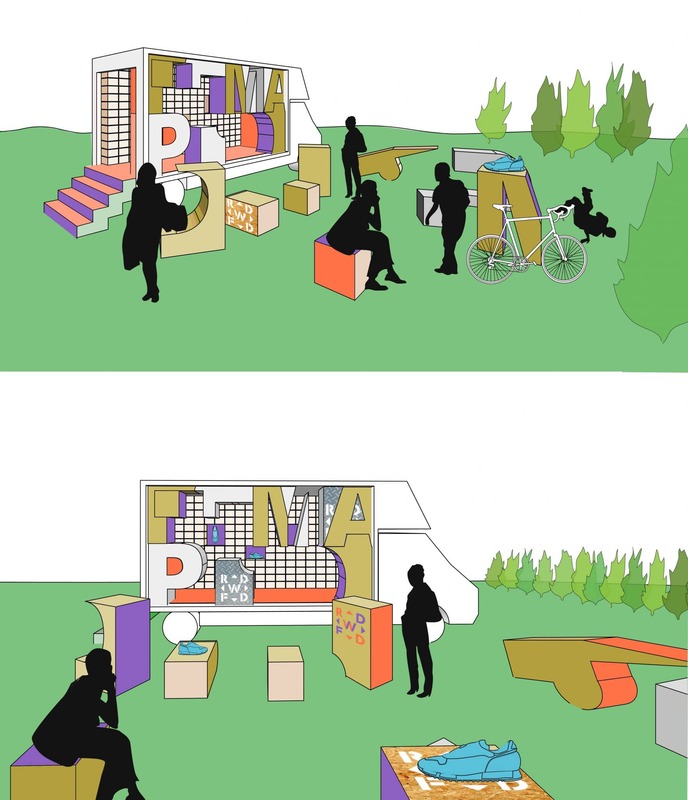 Reconfigurable in a variety of ways at each individual site before being packed up and shipped onto the next location. Inside the truck a wall of red shoe boxes on CNC cut plywood shelving frame displays of the current PUMA ranges where visitors can browse through clothing or inspect particular shoes. 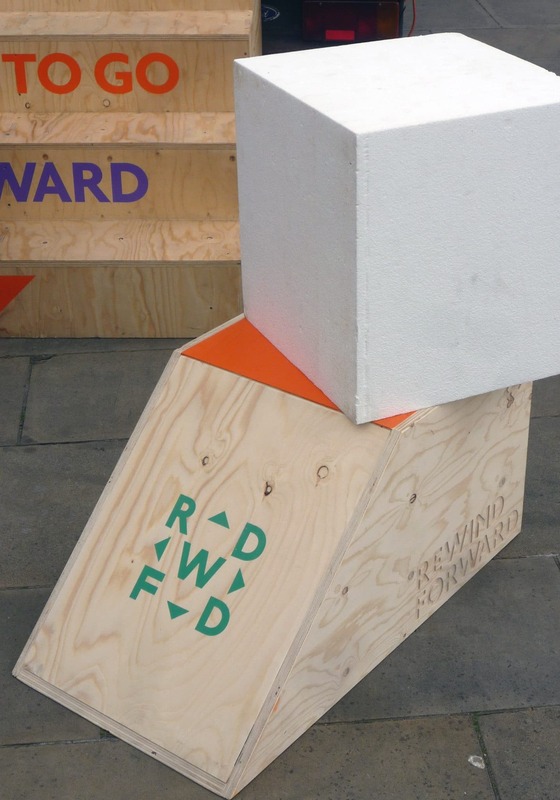 The Rewind Forward ‘Pop-Out’ Shop will be traveling to London, Manchester and Liverpool at the end of Summer 2010.